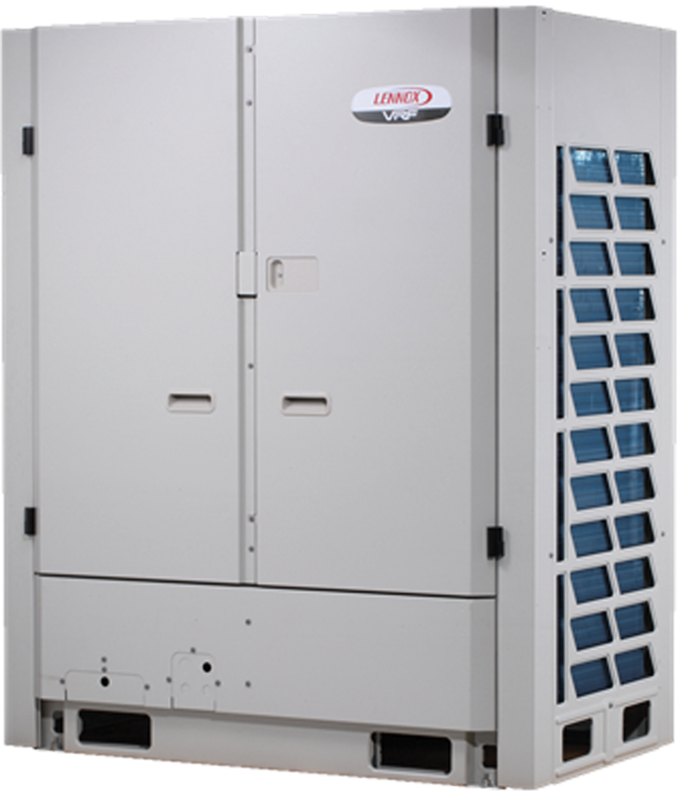 Lennox VRF® Heat Recovery units offer a simultaneous heating and cooling solution capable of conditioning up to 64 zones from a single system. The heat recovery process moves heat from spaces requiring cooling into spaces requiring heating, maximizing energy efficiency and occupant comfort. Hinged access panels on all outdoor units for easy access to internal components. Inverter-Driven Vapor Injection Compressor– Reduces energy usage by varying the compressor speed in response to the capacity demand at each indoor unit. Vapor injection technology provides increased capacity at both low and high ambient temperatures, as well as improved efficiency. High-Efficiency Operation – Part-load IEER efficiencies up to 26.2 and simultaneous cooling and heating SCHE efficiencies up to 32.8 offer some of the most efficient systems on the market.